I was just sitting in my local garage waiting for them to fit a new exhaust to my car - hopefully this will stop it from sounding like a tractor. Anyway, I was filling the time by scanning through my photos on my phone. This one seemed interesting so I thought I'd post it here. 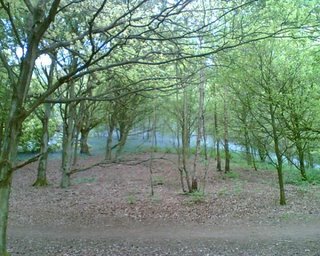 It was taken a fair while ago whilst walking in the Clent hills. The actual view was even better than the picture.